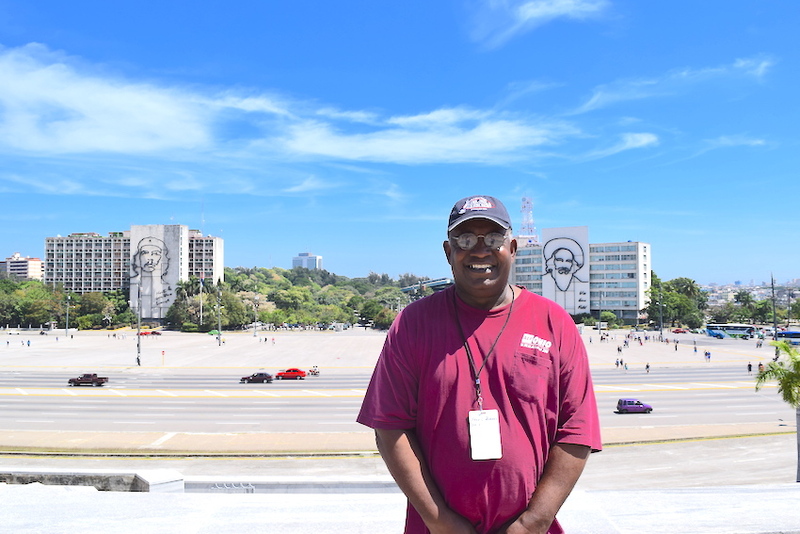 This time around we wanted to share a candid conversation with one of our insightCuba tour participants, Frederick Burney II. He has been to Cuba a whopping three times and he’s planning to attend the 2018 Havana Jazz Festival in January to make it an even four. Frederick was born and raised in southeast Ohio and was the youngest of eight kids. He graduated from Ohio University with a bachelor's degree in business administration and worked at an Ohio power plant for almost 40 years. He’s recently retired and enjoys hobbies like reading, golfing, jazz and traveling. We asked Frederick some tough questions about Cuba to give you a real sense of what traveling to this island country is really like! As a traveler, you may have many options when it comes to destinations. Why would you recommend Cuba as a travel destination? Without a doubt Cubans are some of the warmest, courteous people you’ll ever know. Unlike many travel destinations, you’ll encounter very few people who will try and take advantage of you. I’ve traveled to places where people are kind of haughty and arrogant to tourists, but the Cubans are quite the opposite. Contrary to popular belief, Cuba is truly like no other country in Latin America or even any island in the Caribbean. What did you learn about Cuba that fascinated you? I was very impressed by the adaptability of the Cuban people. Their resourcefulness and inventive ways have kept very old cars and other apparatuses going for many years despite a lack of resources. The idea of taking old buildings and homes and turning them into paladares or restaurants is ingenious. Witnessing the resilience of the Cubans is an amazing experience. What do you like most about Cuban culture? I really enjoy the laid-back way of living there. There’s this idea about “Cuban time.” It means things don’t always happen on time, but it also means less stress and hurry. It’s a different, yet, refreshing way of dealing with life. So, let’s address the elephant in the room. There seems to be this notion that Cubans somehow do not like interacting with U.S. citizens. But if you’ve been to Cuba, you’d know there’s nothing further from the truth! Did you feel welcome during your stay in Cuba? Oh, yes! 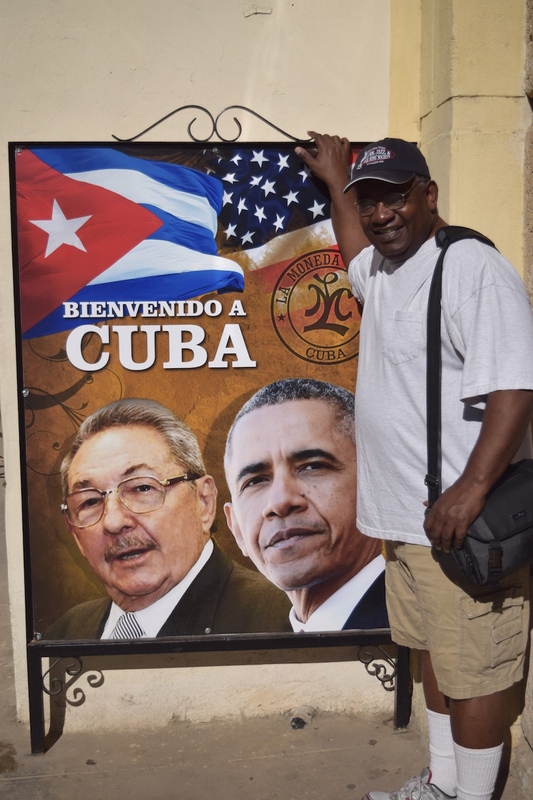 The Cuban people and insightCuba tour leaders really make you feel comfortable from the beginning. Cubans are extremely friendly and sincere. I feel as though I am genuinely welcomed in Cuba even as an American. In addition, the insightCuba tour leaders explain everything you need to know from the dual currency system to the “flexible” nature of Cuban time. Another “myth” that gets circulated is in regards to safety. Unlike other Latin American countries, Cuba has an extremely low crime rate and is one of the safest nations on earth. Did you feel safe during your stay in Cuba? Absolutely. I’ve walked outside, alone, at night with photography equipment and such without anyone bothering me in any way. I come from a small town in Ohio and felt safer in Cuba than I do here at night! With new travel restrictions in place, some people might have concerns about traveling to Cuba. What were you most concerned about before you traveled to Cuba? And how did traveling with a sanctioned group help alleviate that? I was actually really concerned about what would happen to me when I returned. I didn’t know what the U.S. government required and didn’t want to be in trouble for not following rules regarding travel to Cuba. InsightCuba takes care of everything for you and they answered all of my questions before leaving the country. They are very knowledgeable about U.S. regulations that govern travel to Cuba. They will make sure you are compliant and have no problem whatsoever upon your return or later. What value did your insightCuba tour leaders and traveling with a group bring to your travel experience? Each time I’ve visited Cuba, I’ve found the tour leaders to be very knowledgeable about Cuban culture, customs and history. They are able to answer questions on the fly and add context to the sights and sounds you experience on the tour, which is why I like traveling with a group. If you travel on your own you’ll miss out on the historical context and explanations that really enrich your experience. For instance, in many of my tours, there were so many things we experienced that were truly off the beaten path. We would go to things like fresh markets and explore local neighborhoods. We got to interact with Jazz musicians and view choral performances in very intimate settings. These are not things the average traveler can do on their own in Cuba.